Blossom. Sizzle. Pop! This SATURDAY at Blossom!! Blossom. Sizzle. Pop! 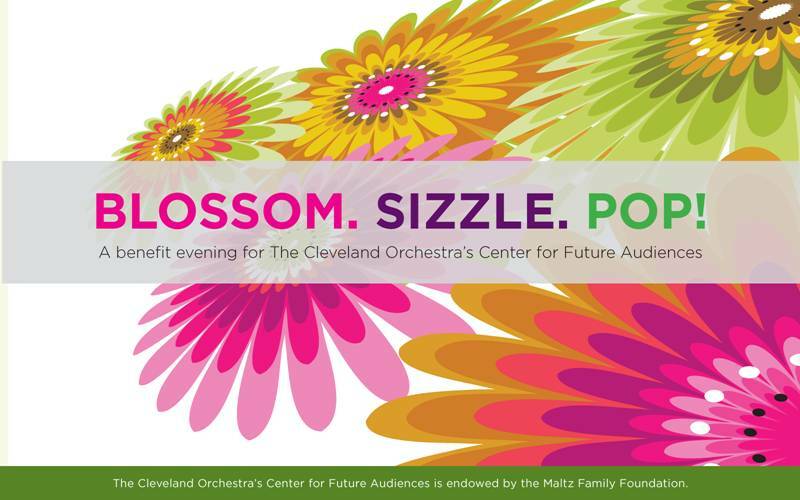 The Cleveland Orchestra’s beneift event to support the Center for Future Audiences is this Saturday, July 2! Tickets are still available at all levels for this exciting event featuring the Cleveland Orchestra and Broadway star Idina Menzel! Your $100 ticket includes great pavillion seats for the show, fireworks following the show, and entrance to the fabulous after party featuring terrific desserts and an open bar. Purchase of General Admission pavillion seats also supports the Cleveland Orchestra and their mission to encourage younger generations to appreciate the orchestra and the arts in general. Again this summer, children and young adults under the age of 18 receive free lawn admission to Cleveland Orchestra concerts at Blossom! The show begins at 8:00 p.m. and the afterparty is set to begin at the Blossom Grill around 10:45 p.m. See below for more information and purchase your tickets at the Blossom box office today for this wonderful event – a great way to spend your holiday weekend!! This entry was posted in akron, classical, cleveland, music, ohio, shows and tagged blossom, cleveland, concert, live, music, ohio, Orchestra, show, theater, theatre. Bookmark the permalink.